At each DSV meeting we offer a range of products for sale. 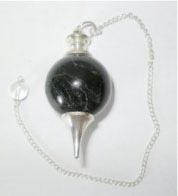 Items often vary from meeting to meeting, but always include some fabulous pendulums, dowsing wiz tools, dowsing rods, books, CDs, DVDs and reference material. All items are attractively priced. We are pleased to confirm that the DSV shop stocks a wide range of items. This includes a broad range of different rods and pendulums. Although we don't promote the need for expensive tools, we realise that some members appreciate having more styles to choose from and our lines reflect that. 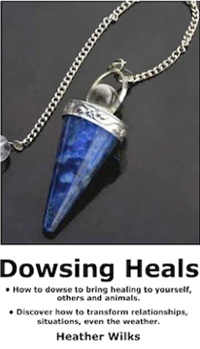 We are well stocked with a good range of dowsing books for purchase. 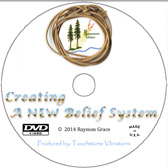 As well, we have many popular items from Raymon Grace in America, including his wonderful books: "Techniques That Work For Me" and "Seasons of April". 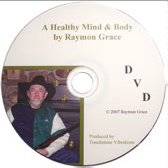 Plus, we also offer some of Raymon's DVDs. The DSV's range of reference materials includes information sheets and charts, introductory summaries, and other items of interest to dowsers. Many of our guest speakers offer products for sale on the day of his/her presentation to the DSV. And with their permission, our speakers are usually recorded. Until 2016 these have been offered as CDs of the talks for a nominal fee. However, from 2016 we've been recording DVDs of our speakers. 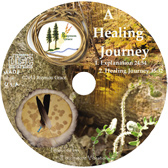 You can purchase any of the CDs or DVDs at a DSV meeting, or you can order them by post. 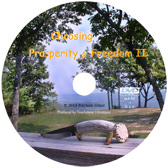 The CDs from our various presentations are available at meetings for $AU5.00 each. Great to purchase for yourself and wonderful to give as a gift. The DVDs are now for sale for $AU10.00 each. Simply send a note, giving us your name, full address, the names of the CDs or DVDs you’d like to order and enclose a cheque or money order (including postage) to: The DSV. Post to “DSV, PO Box 2635, Mount Waverley, Vic 3149 Australia”. 1. Dianne Ward - Mystic Calendar. 2. Christine Rothwell – Astrology. 3. Bill Patterson – Meditation. 4. Joan Evans – 2009 Hawaiian Energies.